This particular story will be an embarrassing one for me to tell but it deserves to be told nevertheless. It’s about the first time I ever got drunk. 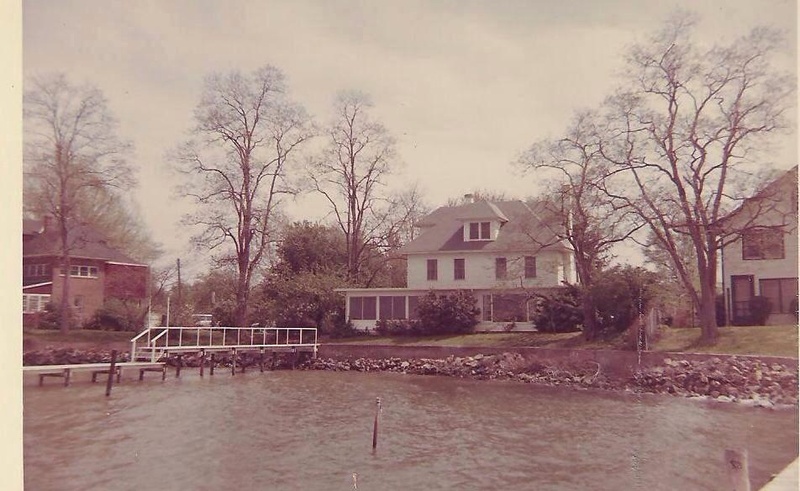 I was 15 years old and visiting Jim parent’s house in Annapolis Maryland. It was getting late in the evening and Mother and Jim were in the TV room winding down after we spent a lovely day on their boat, “Wudja”. They were each enjoying a glass of scotch and water while I was drinking Coke. As I entered the kitchen to refill my coke, my eyes fell on the nearly full bottle of scotch on the counter. With no one watching, I took advantage of the situation by indulging myself to a little scotch to go with my coke. Then I went to rejoin Mother and Jim as they continued to watch television. Two glasses later, (for a combined total of three) it was bedtime. I hardly remember crawling under the covers. The next thing I know I’m in the bathroom heaving. Mother wakes up and sits with me, holds my hair back with one hand while holding a cool cloth on my forehead with the other. She promised me that everything would be okay. This scene was repeated two more times. In the morning, I was allowed to sleep in. By the time I crawled downstairs, I was ready for my reprimand. There were no harsh words, ridicule, or sarcastic comments. ….and a very bad headache. I was very grateful but still embarrassed. However, that was the same day I would be meeting my new sisters, (Jim’s daughters) for the very first time. I remember sitting on the dock with a pounding headache when they came up to me and introduced themselves. They noticed that I looked unwell and told me that their Father had told them what had happened. There was no teasing, no judging, just sincere concern. I loved them from that moment on. Looking back, I am rather grateful that things turned out the way they did. My first unfortunate experience with alcohol was in a safe environment. Mother took good care of me, and I learned a valuable lesson without suffering any consequences. The experience proved to me how easily vulnerable I would have been had I been out in public or even with friends. It was only a few years ago that I was able to take my 1st shot of Glenfiddich Scotch. To this day, I still try to keep it at arm’s length.